In order to help you better understand 5G, a few weeks ago we prompted you to ask us your questions about the fifth generation of mobile connectivity. The reason was simple: to shed light on 5G and to differentiate between true and false. After collecting all your questions and doubts from across all of our sites (France, Germany, Spain, Italy and this domain), we have tried to answer the most pressing in this article. Will 5G be a reliable technology? Can devices continue to communicate in the event of a failure? Reliability is one of the main advantages of the next-gen network. 5G antennas contain many smaller antennas (almost a hundred) capable of focusing the signal directly on the user. The intelligence of 5G ensures better reception: it always offers the user the best connection possible. Some engineers explain that the network information displayed on our smartphones will no longer be necessary. The network search by the devices will also be limited. According to Verizon, 5G will provide 99.999% reliability to its customers. However, caution should be exercised. Network failure is always possible. In this case, everything depends on the type of failure, but it is conceivable that in some environments the machines will benefit from backup methods - a little like how hospitals benefit from generators in the event of a power outage. Is it possible to call directly on the 5G network or are additional obstacles such as VoLTE necessary? And if so, is it proposed and supported by all operators? While 5G is best known for its high bandwidth and low latency, it will also offer better performance for voice calls, so Vo5G, the abbreviation for Voice over 5G, should offer significantly improved voice capabilities and support ultra-high definition voice calls. Although voice calls remain important, they will gradually lose their importance as an independent service. Other 5G services such as augmented reality, virtual reality and streaming should also benefit from the advantages of Vo5G. 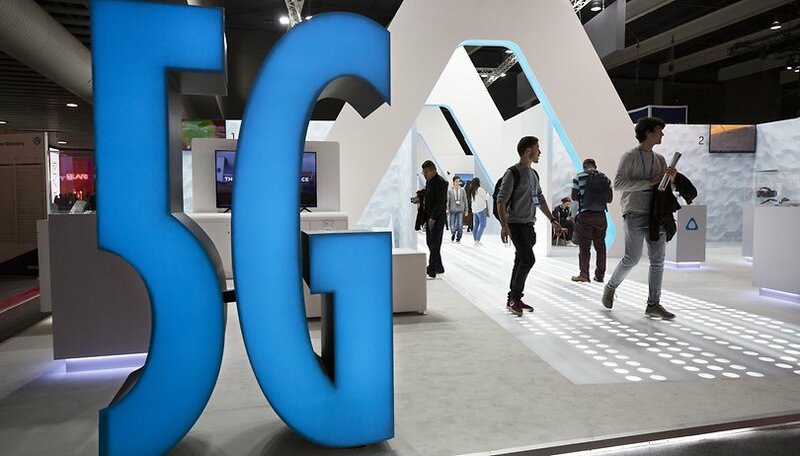 Vo5G will also use some existing infrastructure, such as the IP Multimedia Subsystem (IMS) and the 4G voice and video communication architecture. If we go into more detail, Vo5G will take advantage of the voice over new radio (VoNR, i. e.) Voice over NR) and will eventually replace voice over LTE (VoLTE). To come back to the question, it will therefore be necessary to use VoNR, the equivalent of VoLTE for 5G. Unfortunately, it is not yet clear whether this service will be offered by operators in their offers or whether it will be an option. No operator has announced its plans yet. Will there be obligations for operators to occupy an entire territory with 4G in order to have the right to offer 5G? No, there are no obligations. However, in most European countries there is an obligation to cover the entire territory with 4G and thus to put an end to the so-called "white" areas, i.e. areas which are not covered. In France, for example, the territory must be covered 75% with 4G by the end of 2020 and 100% by the end of 2022. 5G will also have to meet government requirements with its own timetable. What are the differences between the 5G IoT layer and the LoRa and Sigfox networks? The connected objects communicate on two types of networks. For those that don't know, Lora and Sigfox are two companies that offer a solution for accessing IoT (Internet of Things) networks. In particular, they have enabled the development of the first devices connected through their energy-efficient networks. Networks derived from 4G (LTE-M or Narrow Band IoT) with higher power consumption allow heavier messages to be sent. 5G IoT, which is not expected to arrive until 2023 or even 2025, will allow connected devices to broadcast more messages. Its advantage is that it natively embeds the IoT aspect right from the specification. As a result, it will be in competition with existing networks, at least on the European perimeter because Lora and Sigfox offer global coverage. While 5G fulfills its mission and promises, LoRa and Sigfox could survive for a few years given their lower maintenance costs for a company and their long range. Why is 5G so important for the Internet of Things? How far can a 5G relay carry? This question being very technical, but we will try to simplify the answer a little. If 4G used frequency bands below 6 GHz, 5G needs millimeter waves, the frequency of which is between 30 and 300 GHz. The advantage is that they are free and perfectly adapted to broadband. However, if you say higher frequency, you mean less range. It will, therefore, be necessary to build a new network of antennas and use smallcells. These are small antennas with a range of a few hundred meters at most. These antennas are then connected to larger antennas, installed outside urban areas. Massive MIMO (Multiple-Input Multiple-Output) technology is also used for the deployment of the 5G network. This is again the same principle more or less with hundreds of small antennas capable of offering high data rates while saving energy. Is it useful to start using 5G smartphones this year? This is a question that has come up often. We have answered it in a dedicated article. Here is our answer. Spoiler: we do not recommend that you buy a 5G compatible mobile phone (for the moment). Will the deployment of 4G continue? As has been the case with older generations, the arrival of 5G will not make 4G and 3G networks disappear as soon as it is deployed. This will be done gradually and it is not possible to rely solely on this network. Operators will, therefore, continue to deploy new 4G antennas throughout the country for a few more years. However, the 3G network, except for a few operators, may no longer be developed. In addition, manufacturers and OEMs will continue to improve their equipment and infrastructure to improve throughput. This is particularly the case for LSA (Licensed Shared Access), which allows the same frequency to be shared, and LAA (LTE-U in the United States), which makes it possible to add Wi-Fi with 4G, Direct LTE that allows devices to connect to each other or Broadcast LTE that allows the same stream to be sent to thousands of users without saturating the cells. So 4G is far from dead. Do you have any further questions? Just leave a comment and we will respond as best we can!